This is a Guest Post by a fellow Old Timer. 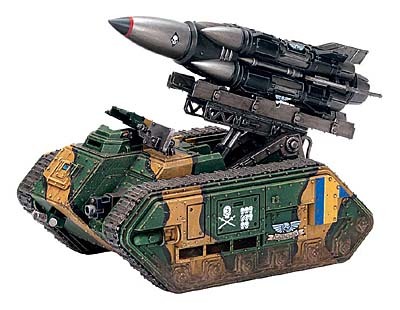 I bought the IG Manticore at my FLGS (Game Vault) with the thought that I could use either the Deathstrike Missile or the Rocket Launcher configurations depending on the opponent that I faced. Upon opening the box and reading the directions, I realized that this wasn't an option; it was either one or the other. So I embarked on my first magnetizing attempt so that I could switch configurations (magnets also bought at Game Vault). 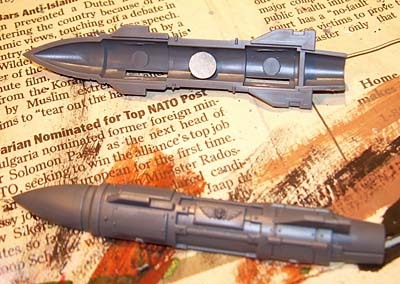 I first set out to magnetize the rocket launcher configuration. I first built the base unit up to the hydraulics assembly. The first step was to magnetize the rockets so I could pull the halves apart and use one half to put on the deathstrike missile (because the Deathstrike configuration uses one half of each rocket). It's important to point out that it helps to know the polarity of each magnet. I marked the facing that would be glued to the model part. I then placed magnets on the upper arm of the rocket launcher assembly (I did not place magnets on the lower arm but I might later). 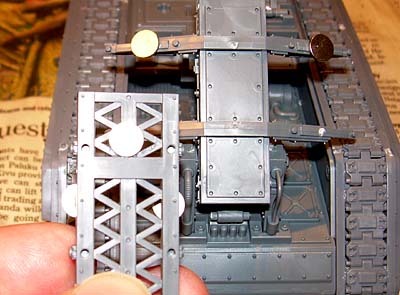 Then I placed corresponding magnets under the rail portions. 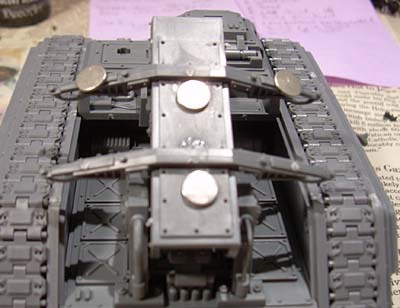 I then placed two magnets on each side of the rail portion. Because these little magnets are very powerful they hold the rockets in place on the rail when you simply place each rocket on the rail via the slots on each rocket. I placed the covering in the middle by just setting it down. The arms keep it in place. Note: It is NOT a model that can be jerked around and expect to keep the rockets in place. 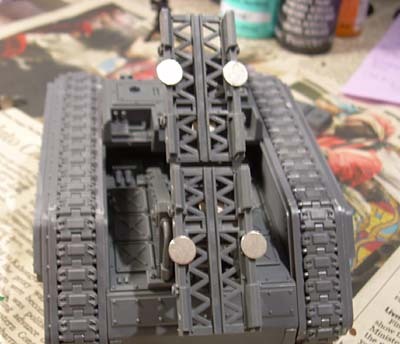 I relied on the strength of the magnets on the rails attracting the magnets inside each rocket to hold them there. It is fairly stable once you have it set up but you might have to label the order of the rockets on the rails to get the most stability. Now, for the deathstrike missile. 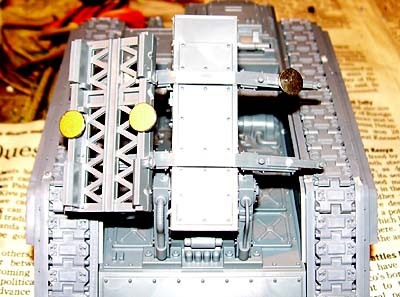 Using the rocket launcher arms as a guide, I placed two magnets along the hydraulics assembly. 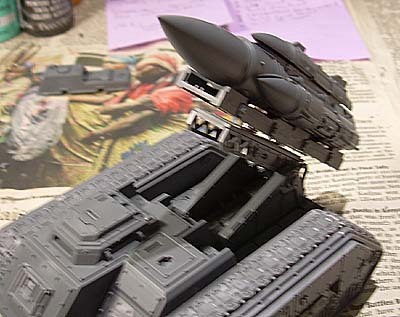 I could then place the rails in the position required to hold the deathstrike missile. 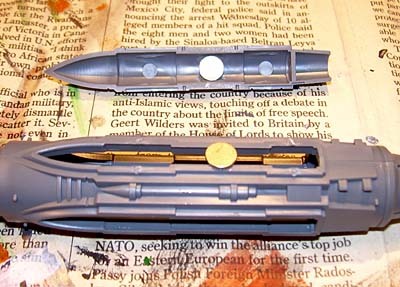 I placed a magnet on each side of the deathstrike missile to hold the rocket halves in place. 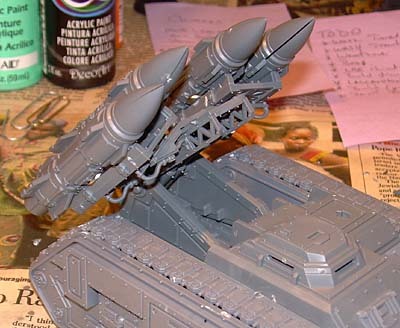 Note: In hindsight, I should have placed the magnet INSIDE the deathstrike missile but I had glued it with plastic glue and couldn't break it apart without risking permanent damage so I left it on the outside. By placing it on the inside, the rocket half would have been fit snugly with the missile. 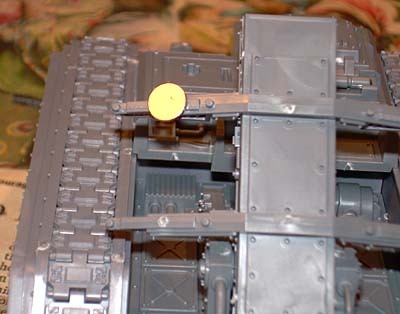 I didn't want to place a magnet somewhere else on the missile to bolt it to the rail but I found by leaving one of the four halves off of it, I could place it on the rail and the strength of the magnets already in place would anchor it. The new manticore/deathstrike is one of those kits that really make me want to start IG; especially seeing it effectively magnetized like this. 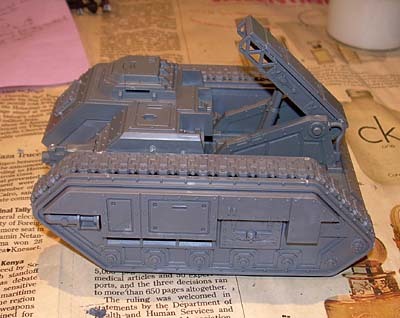 My only complaint is that the Manticore and DSML is an Apocalypse tank and not a 40k tank. I really hate how GW is pushing everyone into Apocalypse whether we like it or not. Other than that gripe, nice job. Careful though, once you start treading down the path of magnetization, it gets addictive! Both the Manticore and Deathstrike are in the current edition of the IG codex. Pages 54 & 55 respectfully. Hence they are 40k tanks that may be used in Apoc.